Do you still need to buy Christmas gifts for your kids? Interestingly, the top 10 holiday presents might not be the ones that you think of first. This year, why not consider choosing among unique Christmas presents, instead of those of the run-of-the-mill variety? Here are ten presents that you should definitely consider when collecting Christmas gift ideas for kids. For over 120 years (since the first game in 1891 in Massachusetts, USA), basketball has become of the world's most popular sports. This is one of the top 10 Christmas presents, and especially if the child's home has a small yard. It's definitely a more practical option than installing a full-size field or rink at one's home. Also, a basketball hoop will require virtually no maintenance. Do you have a son or daughter? Both of them will love to spend hours playing a game, or just taking shots. This is simple – record yourself reading children book and give it to your kid to listen whenever he/she feels like. This is great present for grandparents to prepare for their grandchildren or for father or mother who travel a lot. The kid can listen to your book on CD (or mp3 player) before going to sleep, on the road or whenever he misses or feels like. There's nothing particularly unique about giving a girl a dollhouse for Christmas, right? Well, you might be surprised. In fact, you can find dollhouses of several sizes and designs. Such dollhouses can include exquisite details such as framed pictures and rugs. Another, Do-It-Yourself, option is to follow detailed tutorials that include step-by-step guides for building your own dollhouse. It's the perfect way to build the best Christmas present for girls. Yet another of the top 10 Christmas presents, this option allows your son or daughter to enjoy the heavens—without leaving their bedroom. It's an especially effective gift for those children who are afraid of the dark. In fact, this gift isn't just for kids! College students can also use glow-in-the-dark stars to convert their dorm room into an observatory. Regardless of how old your child is, this Christmas gift is not only cool to see, but also a fun-filled astronomy lesson. “Reaching for the stars” will now be more feasible for kids and teens. What would Christmas (or any other day, for that matter) be without singing? A Home Karaoke System provides an affordable way for your son or daughter to enjoy an activity that nearly every kid loves: singing. This qualifies it as one of the top 10 Christmas presents for kids. Home Karaoke Systems can include various special features, such as being electric keyboard-compatible. It will likely be music to your ears that some Home Karaoke System models have price tags that are less than $100! While there are exceptions to every rule, it's highly likely that your son or daughter likes (or more likely—adores) ice cream. This makes the Play and Freeze Ice Cream Maker one of the outstanding ideas for Christmas presents. Not only does this gift produce a tasty dessert, but it's also fun! The Play and Freeze Ice Cream Maker is so fun and easy that you won't need to ask your kid what he or she wants for dessert. If you have a small yard and want to avoid the hassle of maintaining an underground swimming pool, then you should certainly consider an Inflatable Swimming Pool: one of the top 10 Christmas presents for kids. At the end of the summer your kids will start counting the days until the next summer starts. 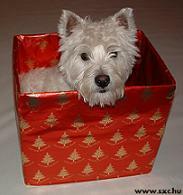 From cats to dogs, and from fishes to hamsters, pets are certainly one of the best Christmas presents for kids. Not only do pets make great Christmas gifts, but they also help to teach personal responsibility. That's a good thing, right? Yes, but for that reason it's important for you to check with the child's parents first. If a child isn't ready for the responsibility of caring for a pet, then one of the potential top 10 Christmas presents could actually turn into one of the worst ones possible. This is a perfect way to introduce kids to the joys of camping. They can set up the play tent either indoors or outdoors. That makes it one of the top 10 Christmas presents. The kid will have his or her little space he/she can call their own. Tents are available in different sizes and designs. Walkie Talkies are still one of the most fun ways that children can communicate. It's the ultimate Christmas present that a kid can enjoy outdoors. Whether they're at home or camping, kids can enjoy the thrill of communicating with nearby friends or relatives. Walkie Talkies are available in several different designs, so you won't have any difficulty finding one that a kid will appreciate. When choosing this gift, keep in mind that you'll need to maintain a supply of batteries for the Walkie Talkies. While the batteries will add to the cost of the toys, they're still one of the best Christmas presents for kids.